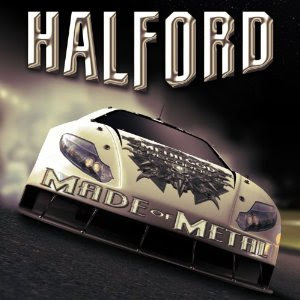 Hall of the Mountain King: Review: Halford, "IV: Made of Metal"
A glance at the cheesy, amateurish cover of Halford’s IV: Made of Metal, likely wouldn’t inspire metal fans to give it a second glance if not for the fact that it bears the Metal God’s name. Luckily for the legendary screamer, it’s not what’s on the cover, but what’s under the hood, and Rob Halford’s latest effort with his solo band has the power where it counts. That’s not to say that there’s not plenty of cheese factor to the music, too. The chorus of the title track is practically made out of aged cheddar. It’s silly and campy, particularly at the beginning with the quintessentially 1980s synthesizer. But it’s a tasty variety of cheese. I dare you to listen to it a couple of times and then get it out of your head. It’s insidious in the same way as the theme songs of the kids’ shows my son watches on TV. While the first two Halford records in turn announced his return to the metal world and then focused on the heavier end of his repertoire, much of Made of Metal sits in that early to mid-1980s Judas Priest vein with perhaps a little more of a commercial ‘80s hard rock bent. They announce that direction on the galloping opener, “Undisputed,” which is, again, quite catchy despite its awkward chorus. “Fire and Ice” drives with classic Priest intensity. “Heartless” has the feel of a pop-flavored hard rocker from that same period. “Hell Razor” would have been right at home on Screaming for Vengeance or Defenders of the Faith. “Like There’s No Tomorrow” dips back into the band’s 1970s catalog with the all too brief guitar intro, and album closer “The Mower” shows off something a little more in line with the first two Halford records with some heavier riffing and piercing screams. 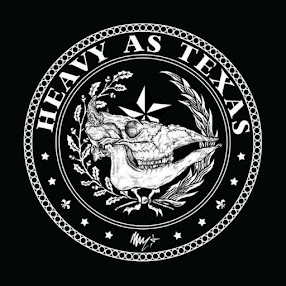 There’s also a blues rock influence on the record, most notably on one of my favorite tracks, “Till the Day I Die.” It opens with a bluesy, country-flavored slide guitar and a riff that reminds me of “A Little Crazy” from the first Fight record. It retains a nice groove even when it goes heavier. It’s Halford’s attempt at a Led Zeppelin tune, but it works. A little less obvious is the blues rock flavor on “Thunder and Lightning,” which is more about the attitude than the actual instrumentation. It’s got a great grooving guitar riff and vocal melody with plenty of cool to go around. There are a few snoozers. The progressive feel on “We Own the Night” doesn’t really work for me, and semi-ballad “I Know We Stand a Chance” is a little too generic for my tastes. I’m not really a ballad person at all, but “Twenty Five Years” is another favorite for me. It’s powerful and compelling, and Halford’s vocals draw you in. I also like the Spanish-flavored acoustic guitar bits thrown in here and there. In fact, I wish there were more of them. They give me something similar in electric on “Matador,” a song that could be really cheesy in other hands, but manages to be thoroughly entertaining from Halford. Halford’s voice sounds great, and the band here is spot on. While there is a heavy cheese factor, Made of Metal still manages to be a lot of fun. It can’t hold a candle to classics like the aforementioned Screaming for Vengeance or Painkiller, but it’s a far better and more satisfying release for me than the bloated and overwrought Nostradamus. Here’s hoping that Halford can bring some of this straightforward approach back to work on the next Judas Priest record.